Bigg Boss is an Indian reality television game show, the first season premiered in 2006 on Sony Entertainment Television Show. Now, 2018 Bigg Boss season 12 hosted by Salman Khan, He’s continously host the 7th season of Bigg Boss. Salman Khan demand a double money for them. After so many season of Bigg Boss, this time firstly the very low TRP of Bigg Boss, People are bored after watching same tasks, fights because this time all are same in the previous seasons also. Other shows like “KAUN BANEGA CROREPATI” have a good rating and have a good TRP than “Bigg Boss season 12”. Obviously people watched the show of KBC because they have lots of knowledge questions in the show. 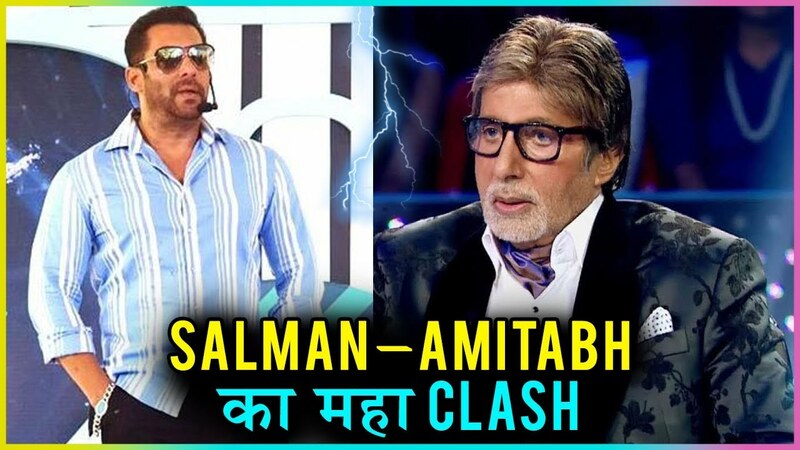 The time of Bigg Boss Season 12 clashes the timing of KBC. KBC telecast on Sony TV and Bigg Boss Season 12 telecast on Colors TV. After all Schedule of Salman Khan is also very busy during the films, recently they shoot “BHARAT” movie. Shortage of time sometimes Salman Khan coming late on the show of Bigg Boss. 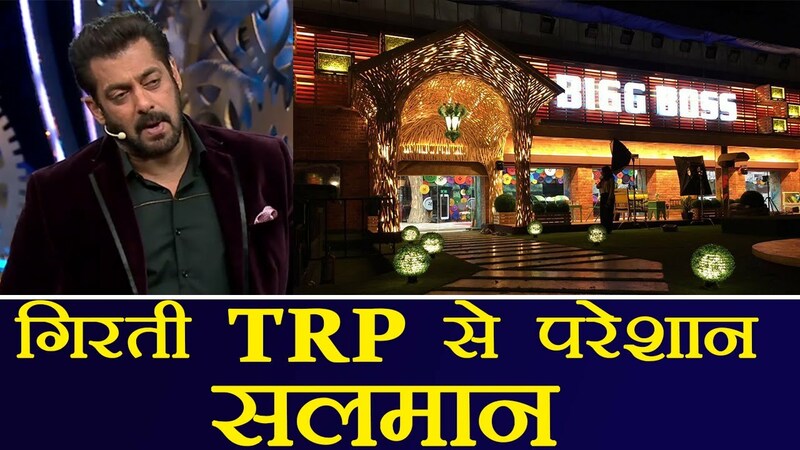 Now, the TRP of Bigg Boss Season 12 is not good like previous seasons. Some of Famous Celebrities in the house of Bigg Boss like- Deepika Kakar, Anup Jalota, Karanvir Bohra, S.Sareesanth and Shristy Rode etc are not entertained the show. Their fans are so disappointed with them. Some people don’t watch the show, the contestant members of the season are also not entertained public. So, the TRP of Bigg Boos Season 12 is getting low. Remaining TRP of this show of Bigg Boss is only reason of Salman Khan hosted the show, their fans watched daily because of the Salman Khan. Their fans totally followed the Bigg Boss Show. They don’t even miss a single episode of Bigg Boss. Previously, on “Weekend Ka Vaar” Shushant Singh Rajput and his heroine Sara Ali Khan visit the house of Bigg Boss for promoting their movie ‘KEDARNATH” releasing on 7th December. After watching the trailer people must going to watch the film. The Chemistry between Shushant Singh Rajput and Sara Ali Khan is Sizzling Awesome in the trailer. The TRP of “Weekend Ka Vaar” is high compare of remaining days of the week. 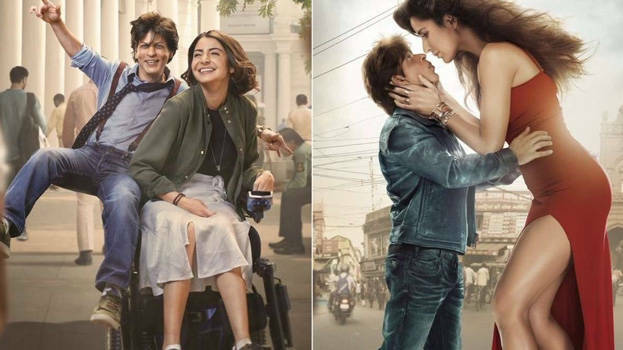 In upcoming dates of December charming SRK, Talented Anushka Kohli Sharma and Beautiful Katrina Kaif visit the show of Bigg Boss for promoting their ZERO movie release on 21 of December. The shooting is not begin but make sure Srk, Anushka and Katrina on the show of Bigg Boss with Salman Khan on the “Weekend Ka Vaar”. 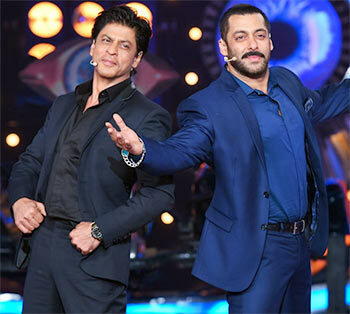 Obviously, Srk with Salman Khan on the “Weekend Ka Vaaar” the TRP of Bigg Boss show is double, because fan following is enough of Srk, “Weekend Ka Vaar” people watch the show some because of Salman and now some watch bacause of Srk and some of Katrina’s Fans and some of Anushka’s Fans. So, TRP of the show is double, and have a record of high TRP episode of the Season 12. 4th of December Red Chillies Entertainment (Gauri’s Production wife of Srk) releasing the song “ISHQBAAZI” with Salman Khan. Song have a Mind blowing song with Srk in the movie of Zero. The song have a record of fatest views in the 24 hours. 24 million views complete in 24 Hours, reason behind this because Srk and Salman Khan both in a Character bust song. The fans of Salman Khan and Srk are love the song and people crazy to watch the ZERO movie.